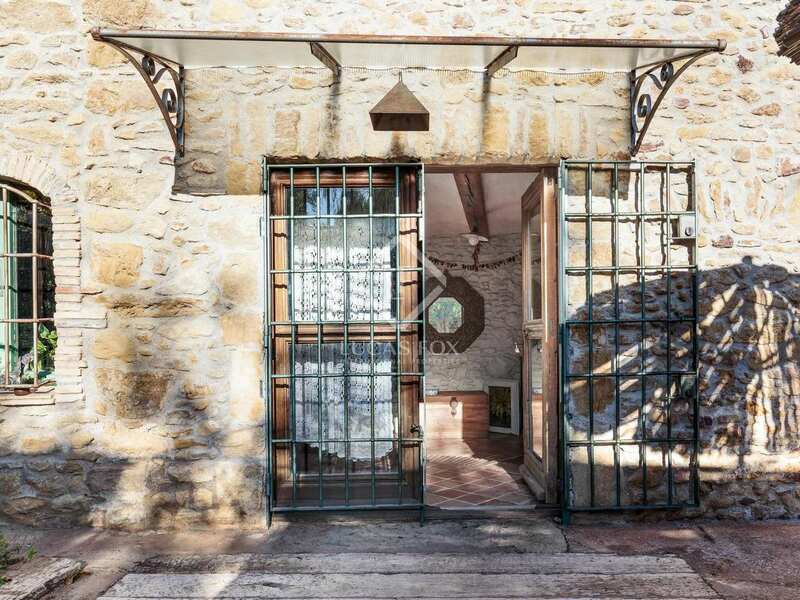 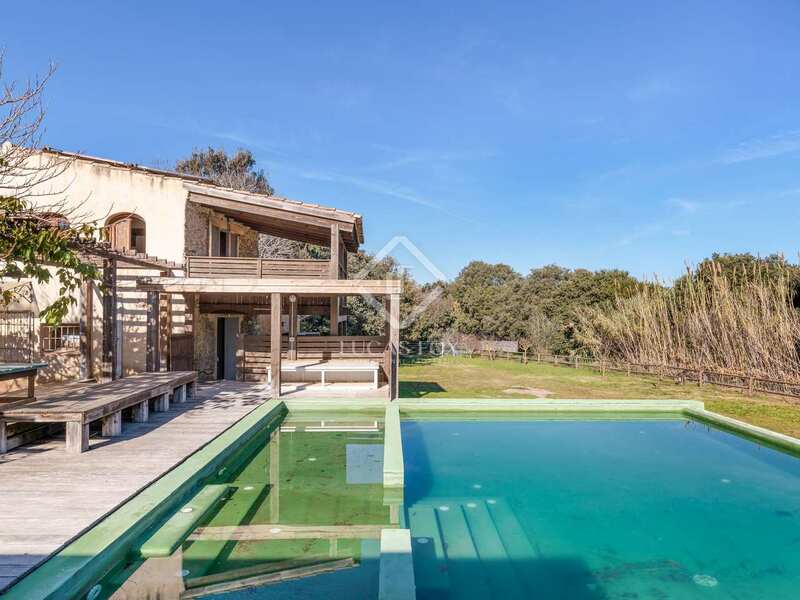 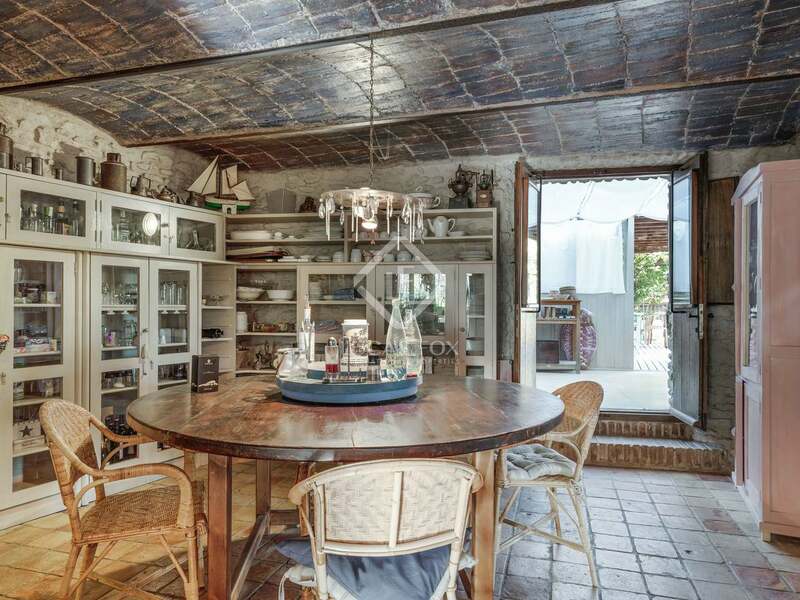 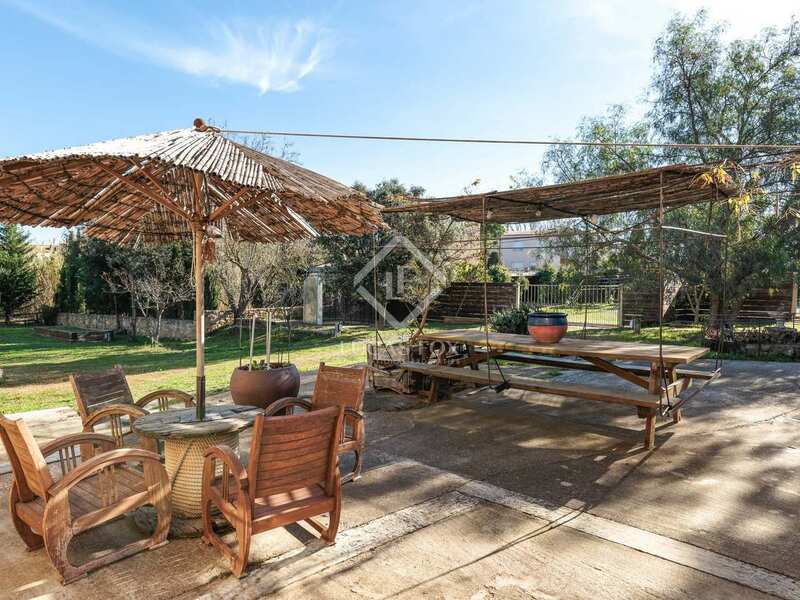 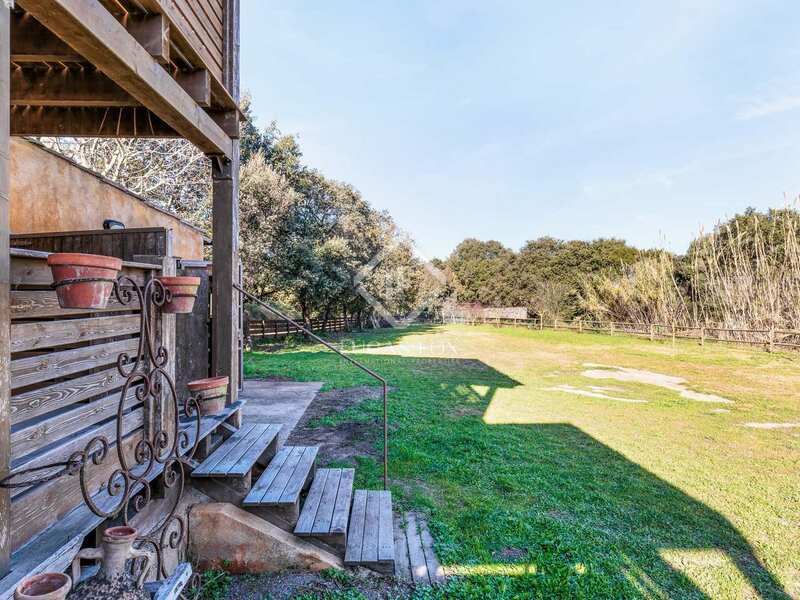 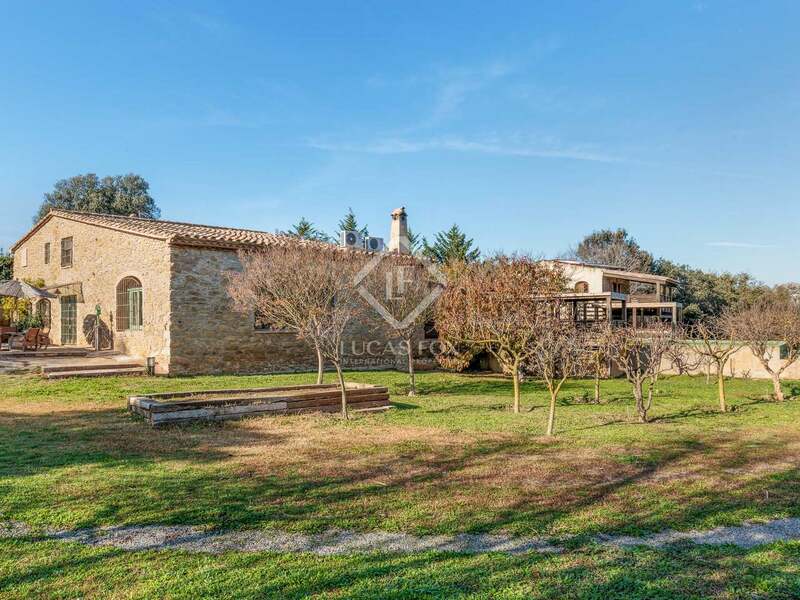 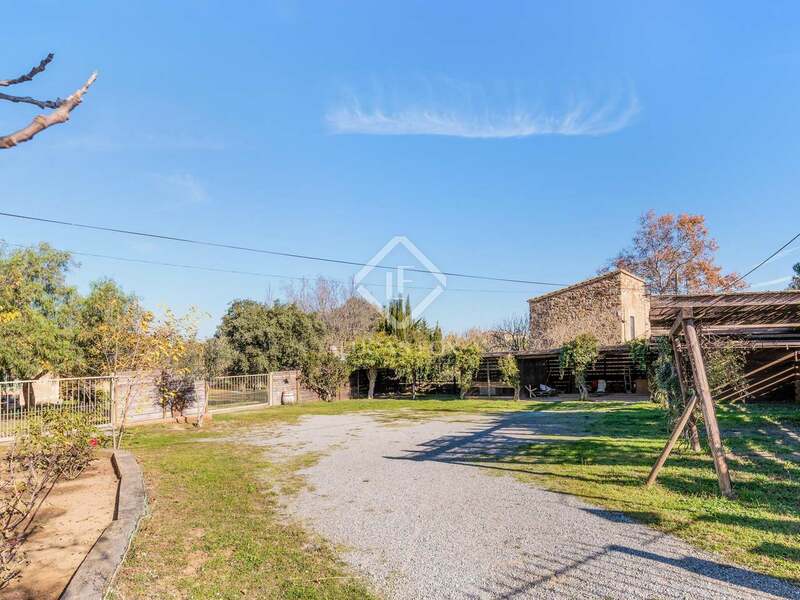 Charming country house with a large garden and swimming pool just 1km outside one of the most emblematic villages of Costa Brava and 5km from the beach. 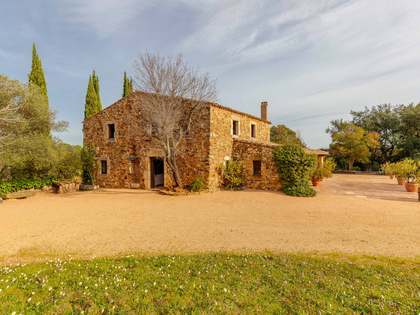 This beautiful property is made up of a 3-bedroom main house and a 2-bedroom barn conversion next to it. 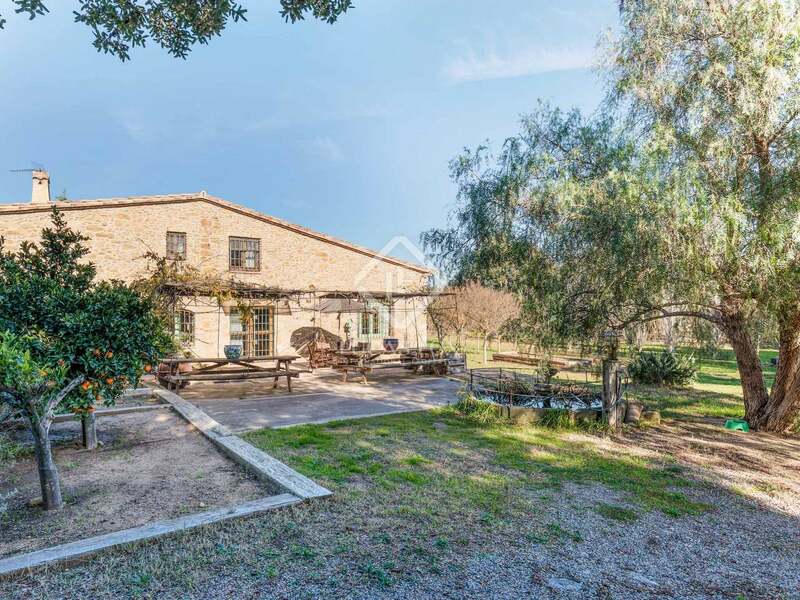 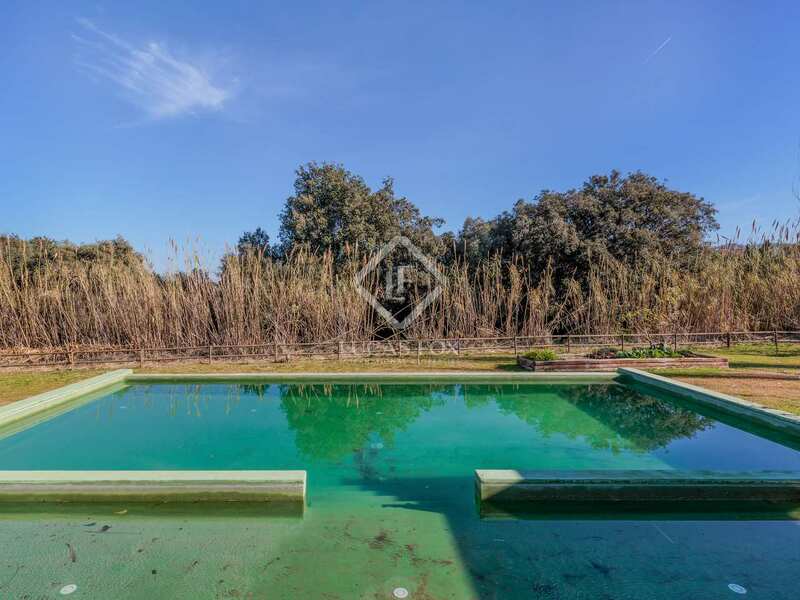 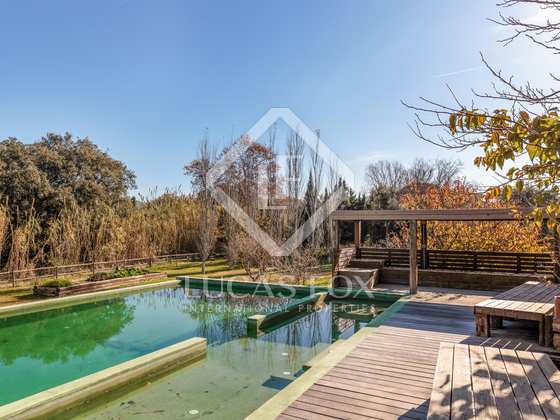 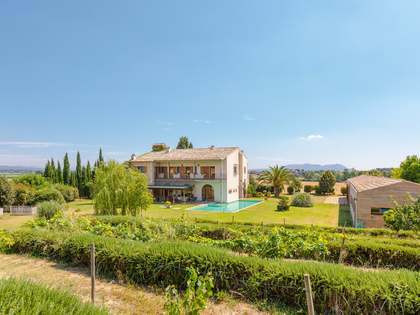 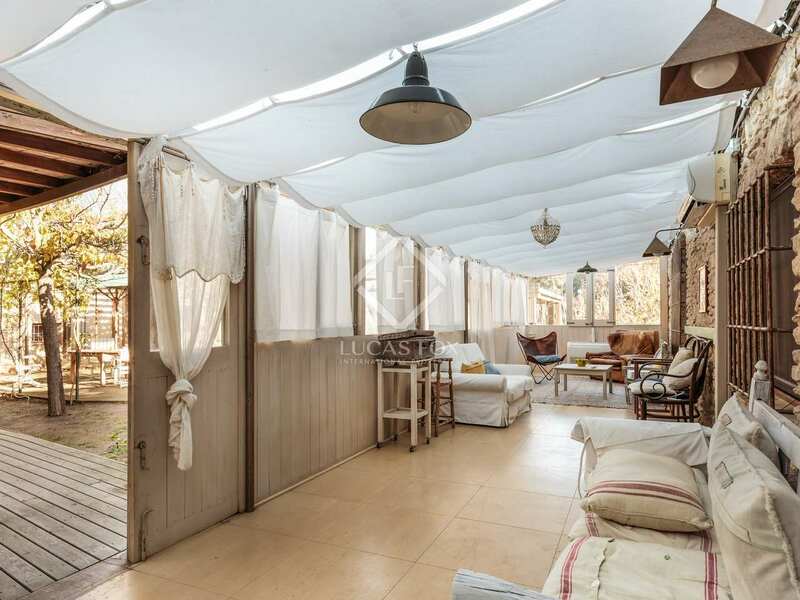 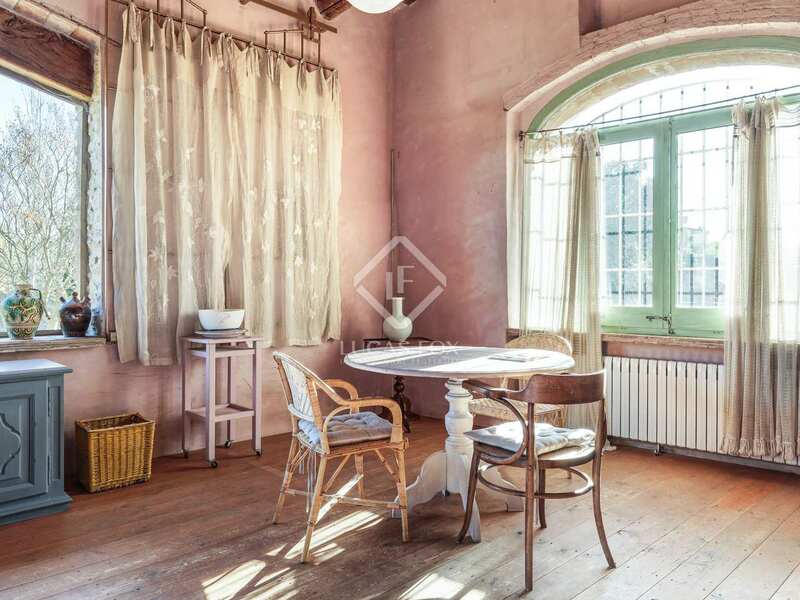 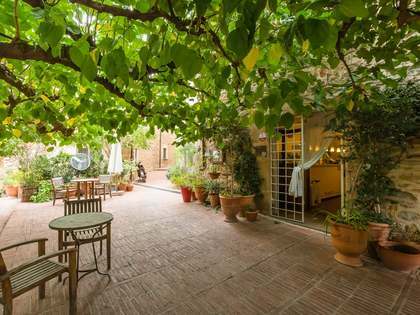 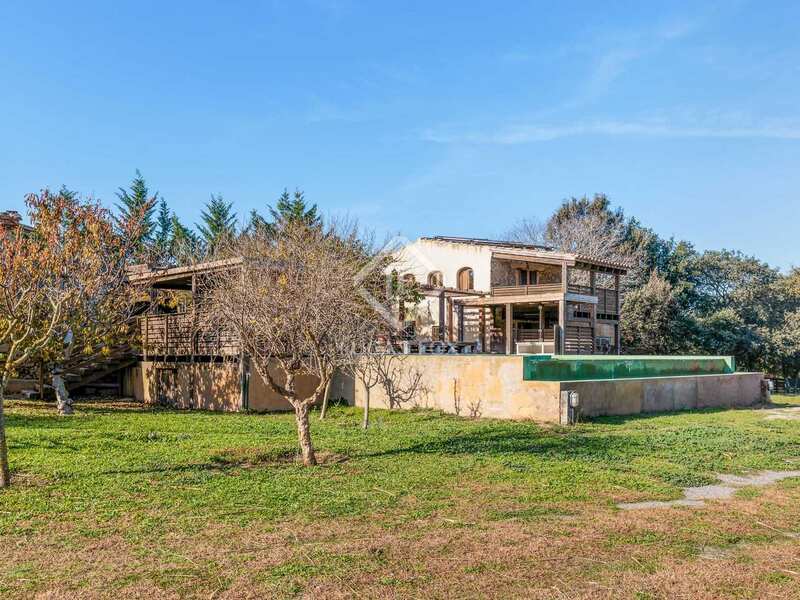 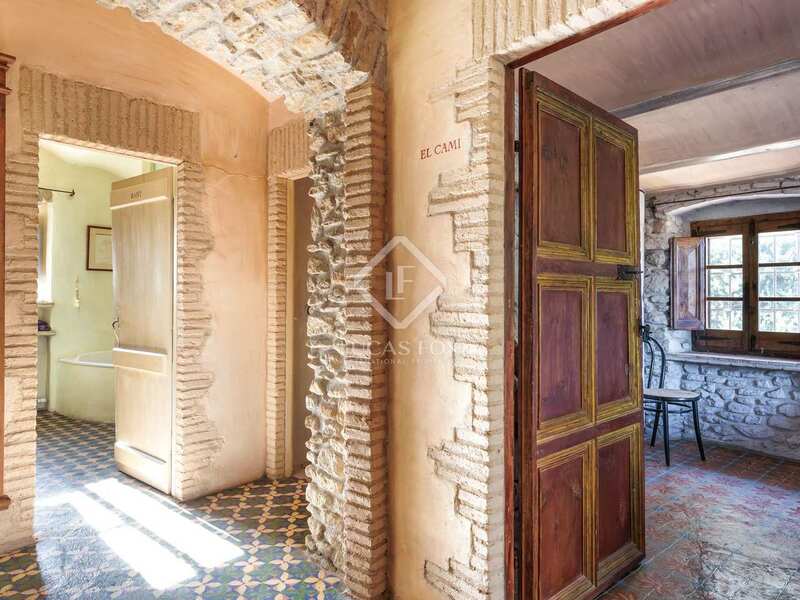 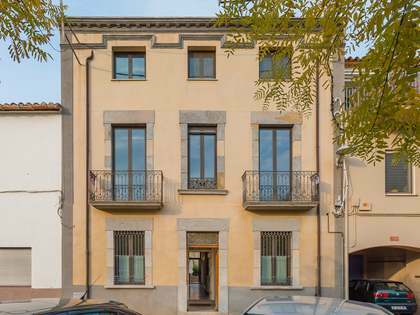 The property has extensive gardens of 4680m², which is totally fenced with 2 separate entrance gates, garage and a tool shed. 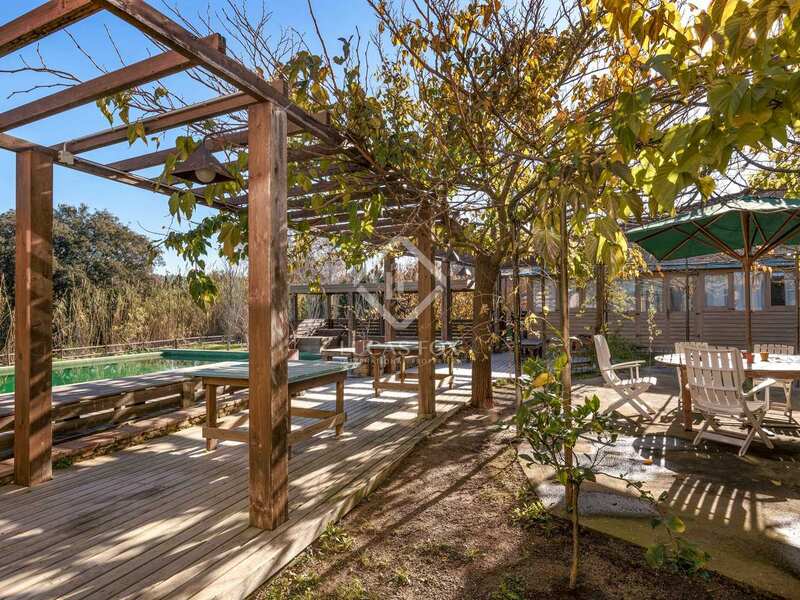 It also includes an eco-style 70m² swimming pool as well as various chill out areas, perfect for outdoor dining and relaxing. 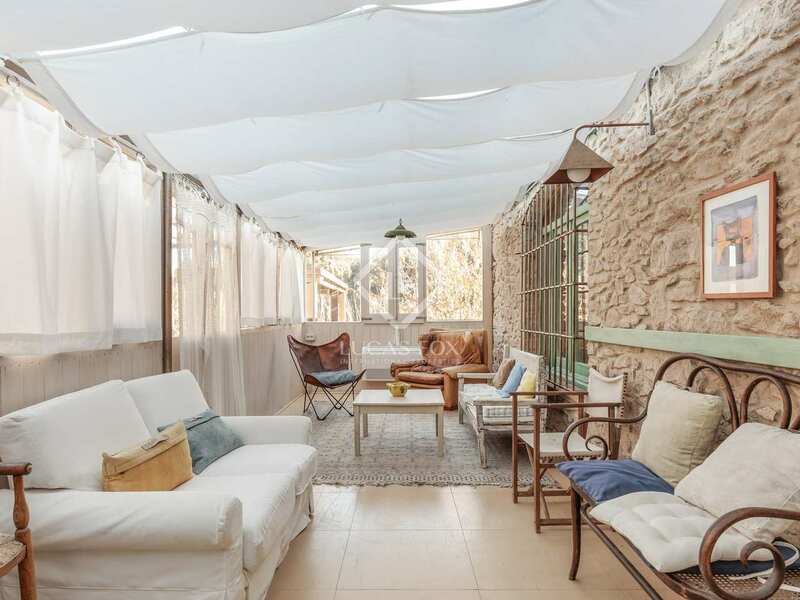 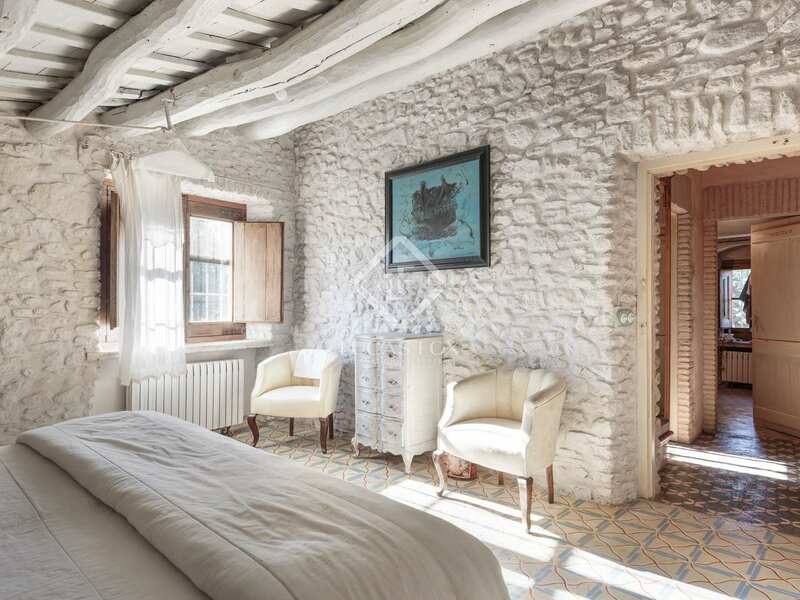 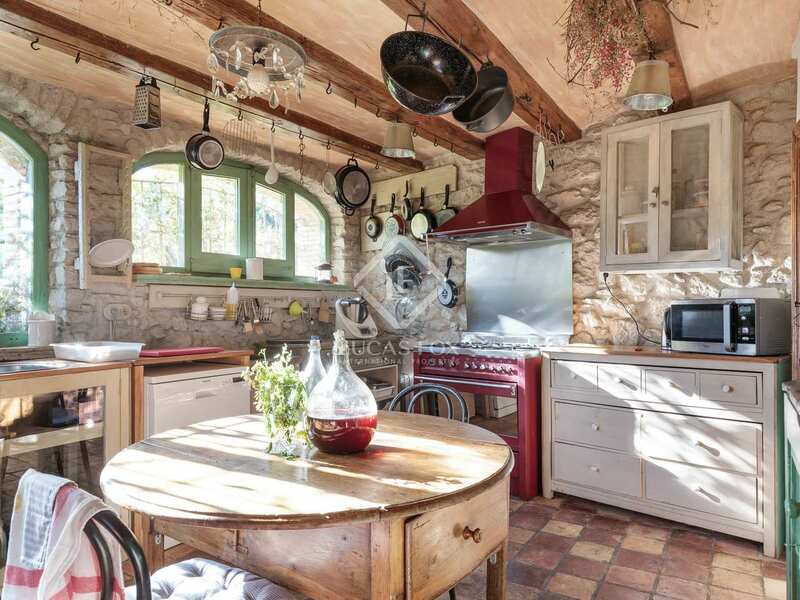 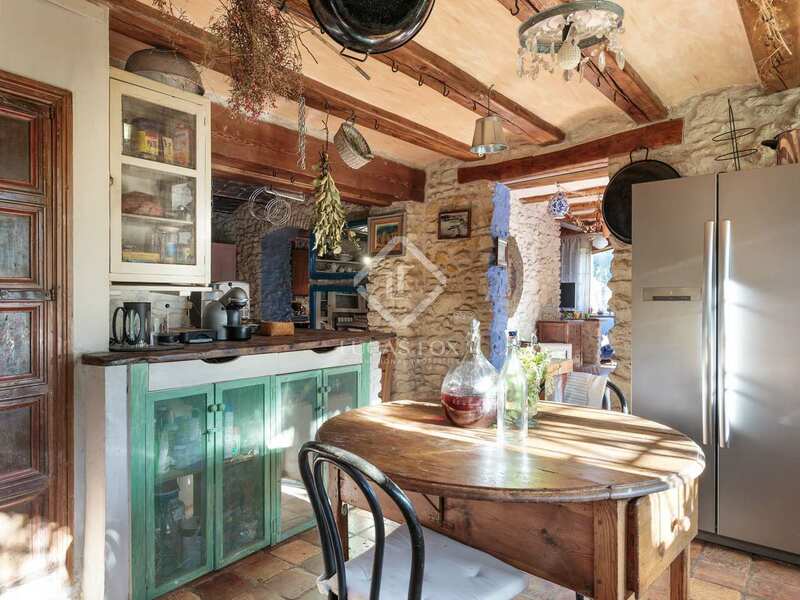 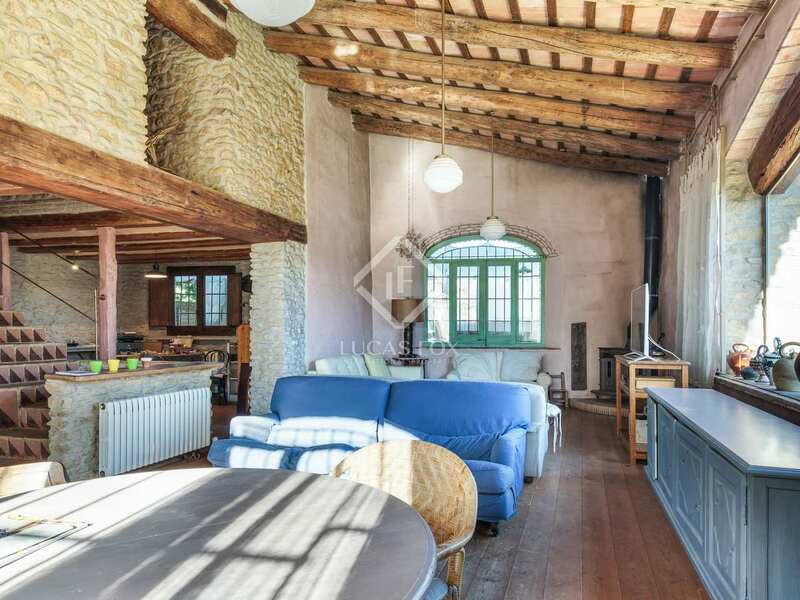 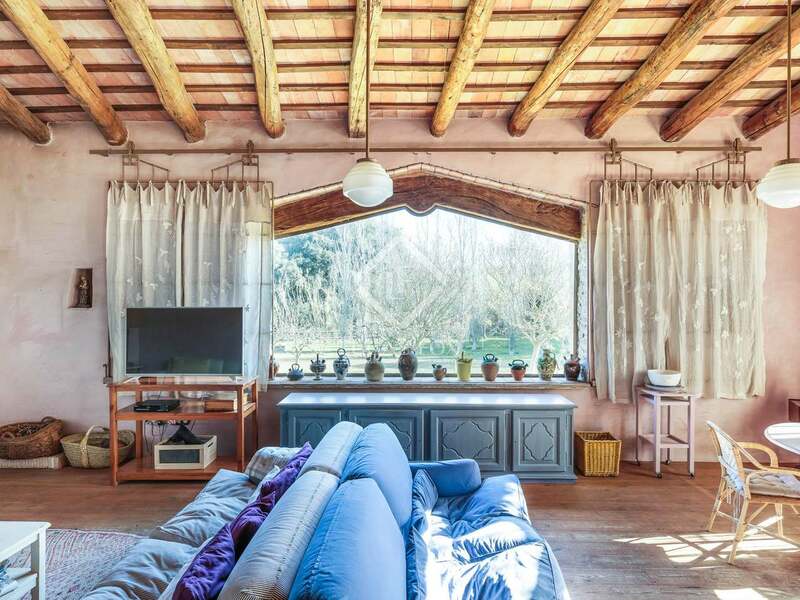 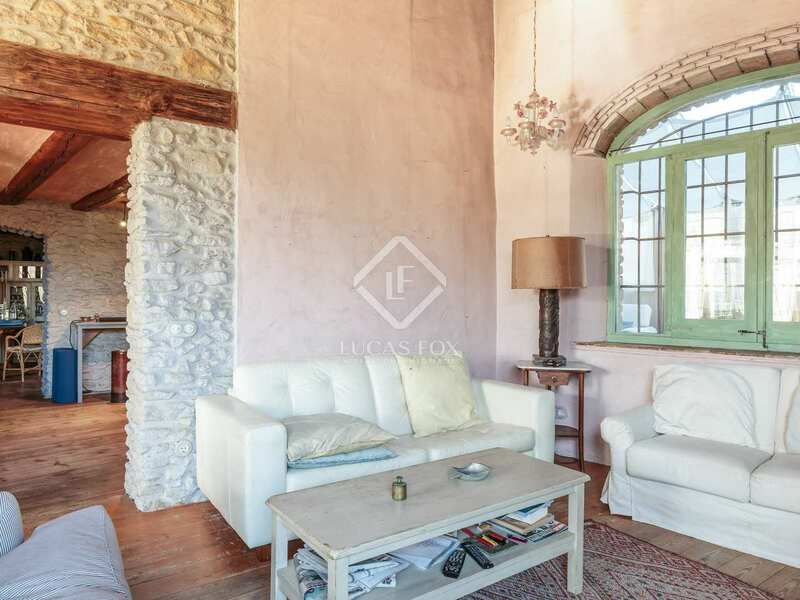 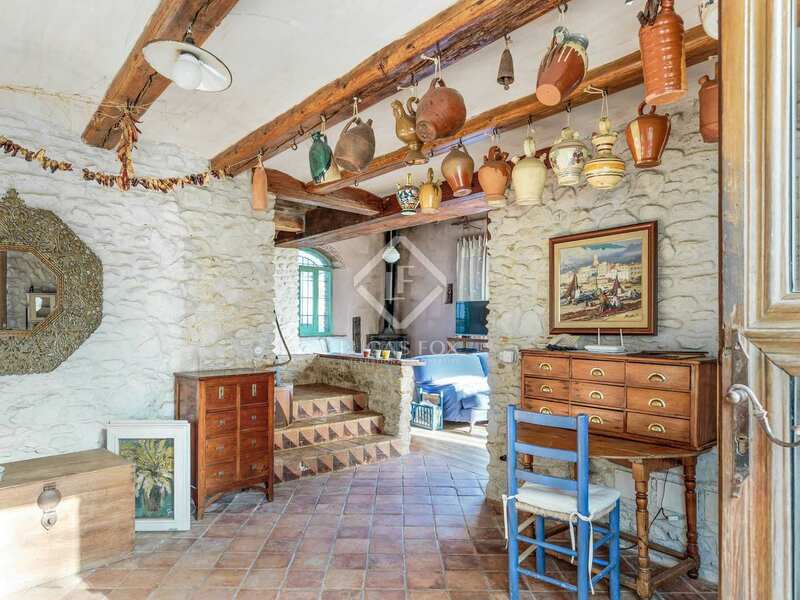 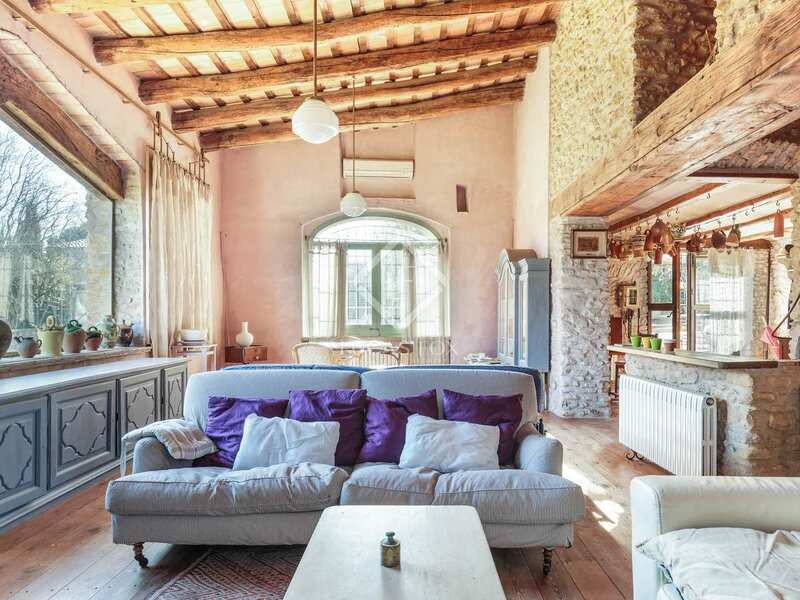 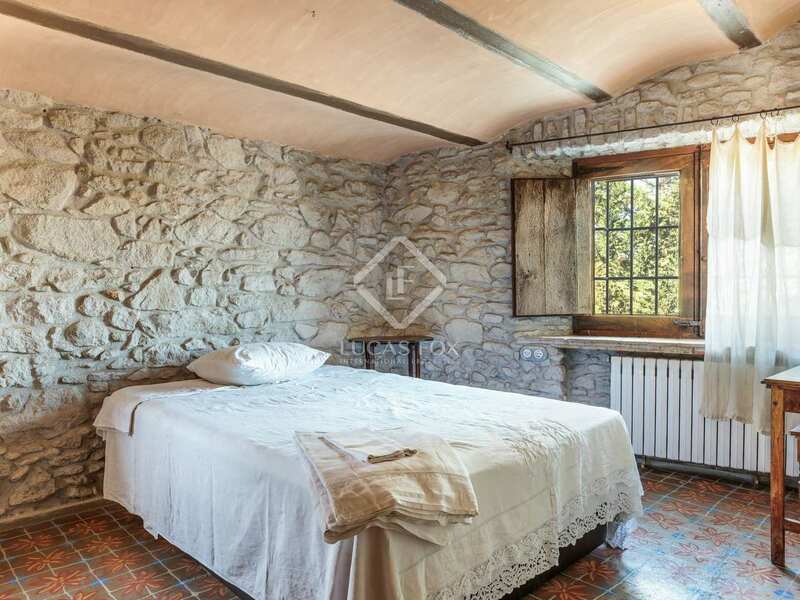 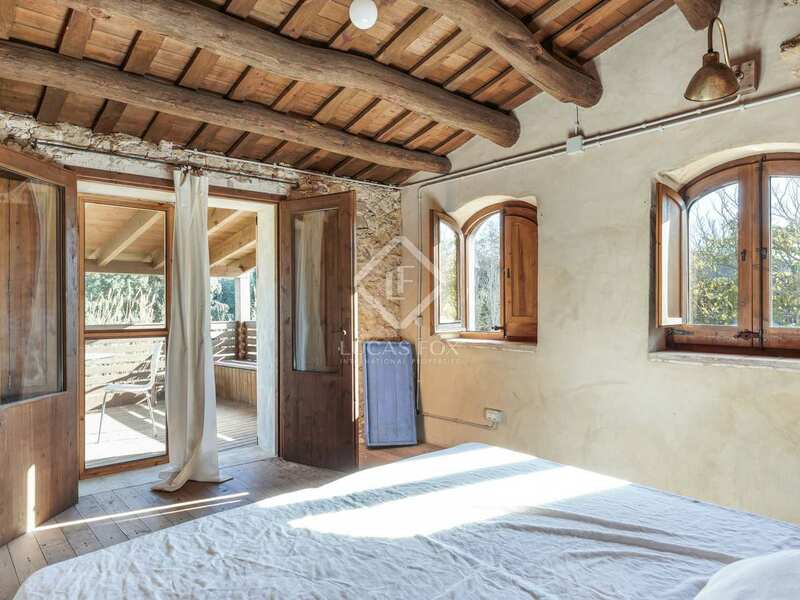 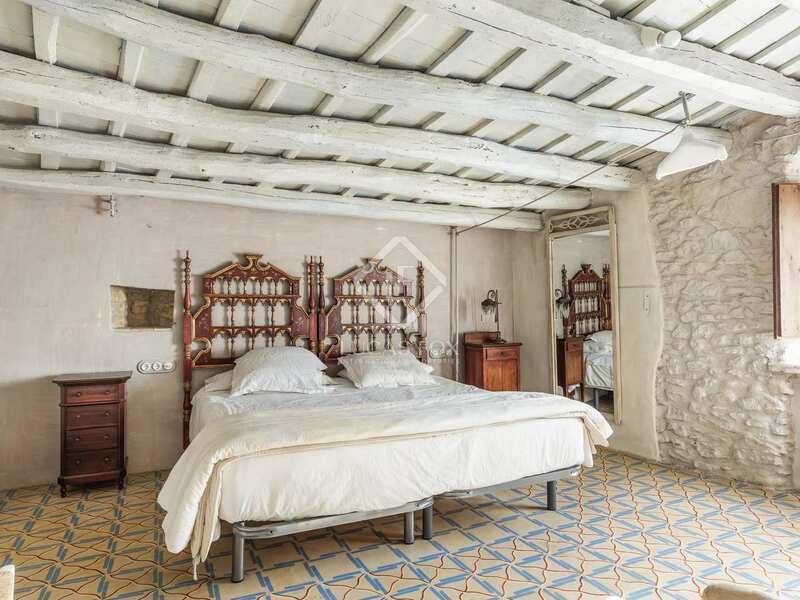 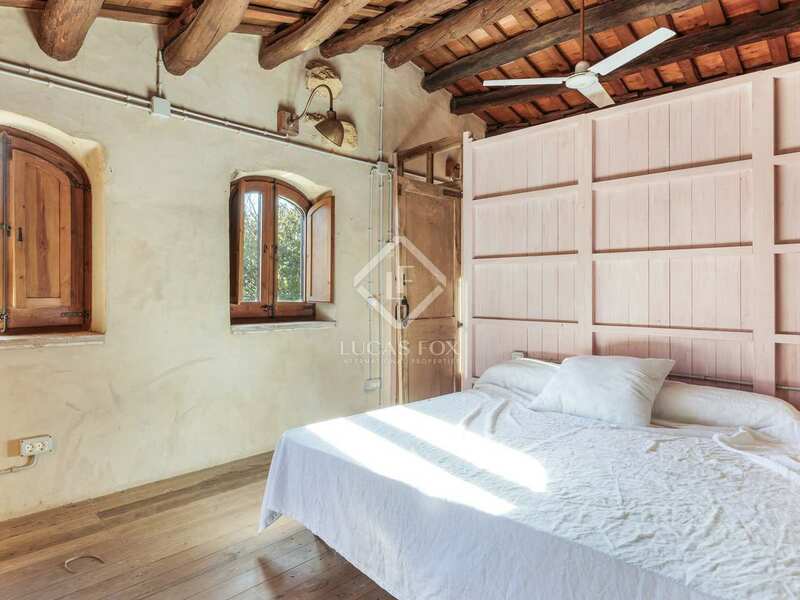 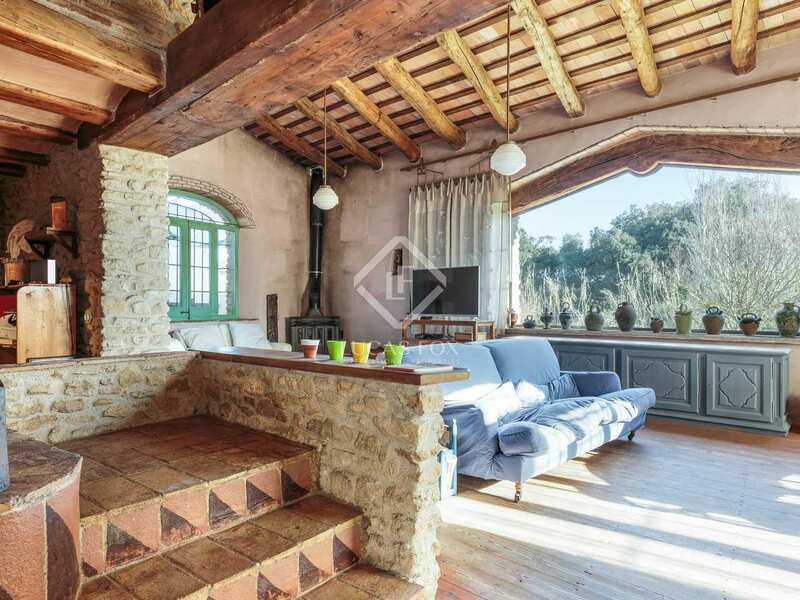 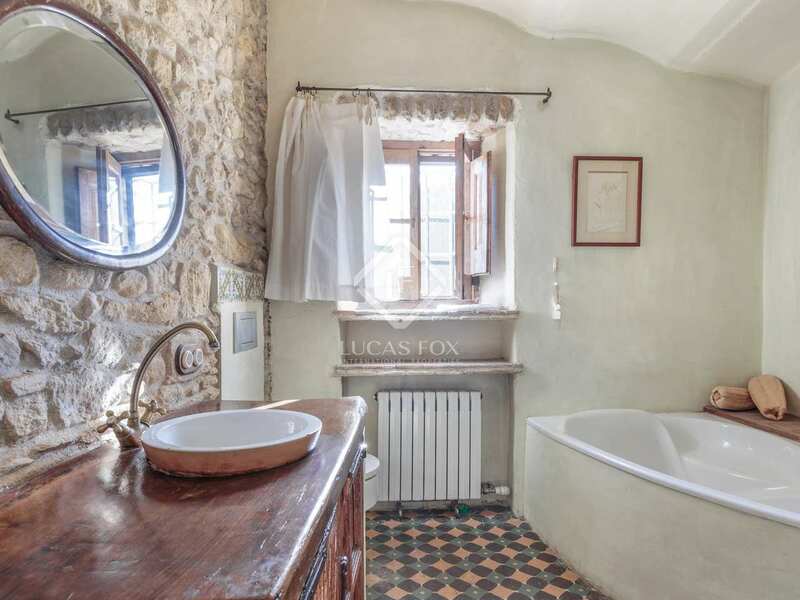 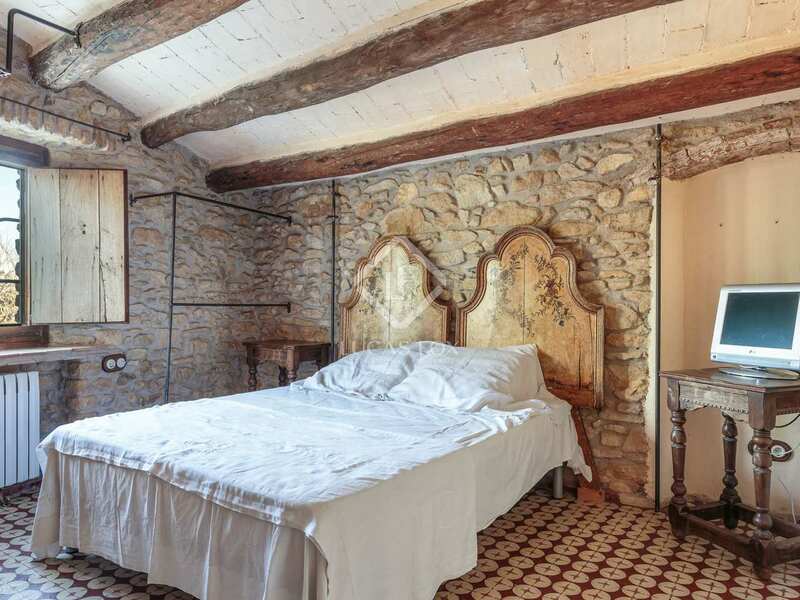 The house was renovated in 2010 in a charming, rustic style and has exposed stonework, hand-painted ceramic tiles and wooden beams. 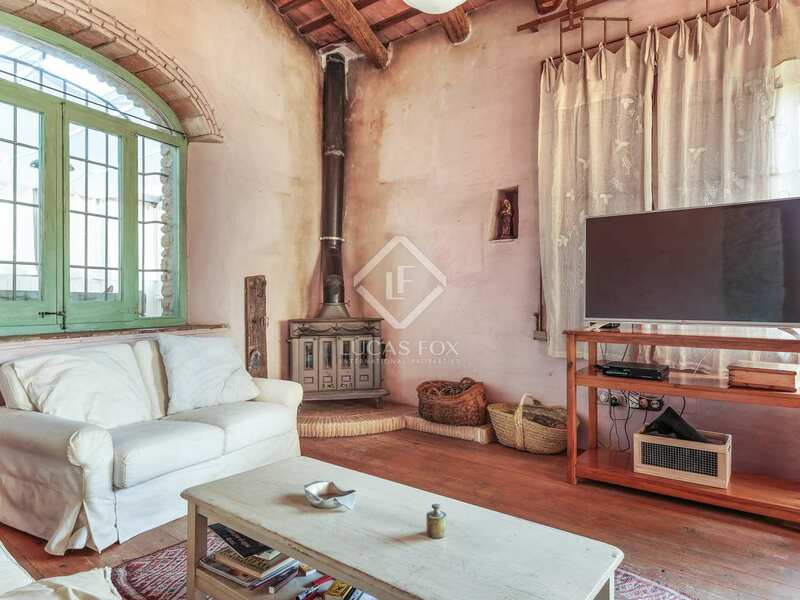 On entering the main 16th century house you find yourself in the entrance hall through which you can access the spacious sitting room with double height ceilings and large windows. 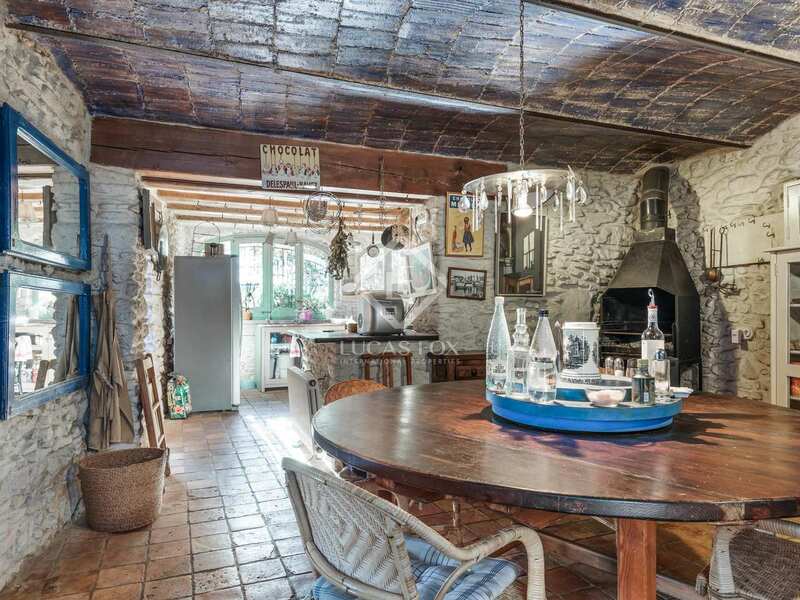 Also on this ground floor is the kitchen, leading through to the dining room with an indoor barbecue, and a study area. 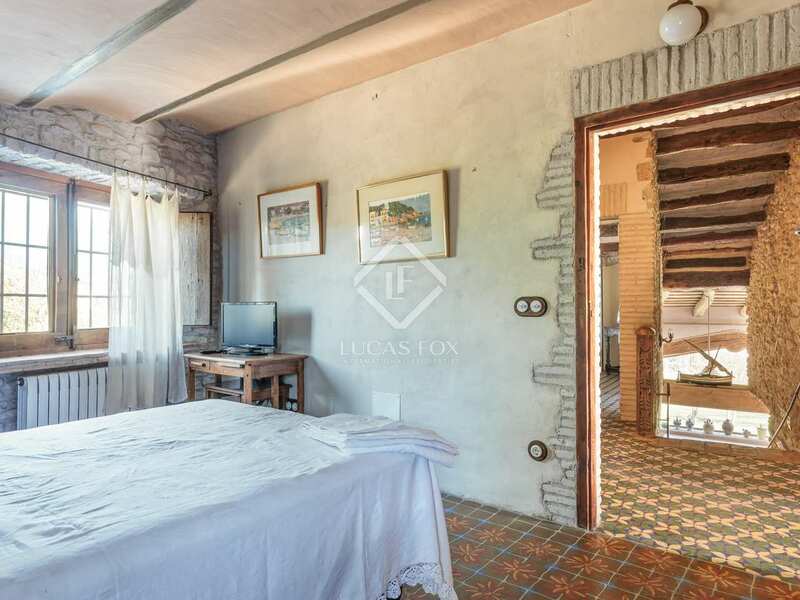 Upstairs is the main en-suite bedroom and 2 other double bedrooms which share a bathroom. 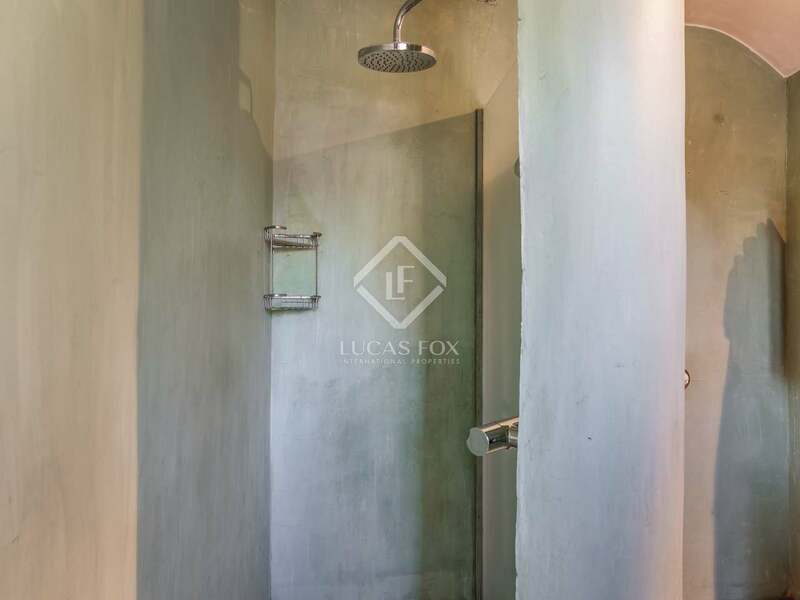 There is also a dressing room which could be turned into a 4th bedroom if necessary. 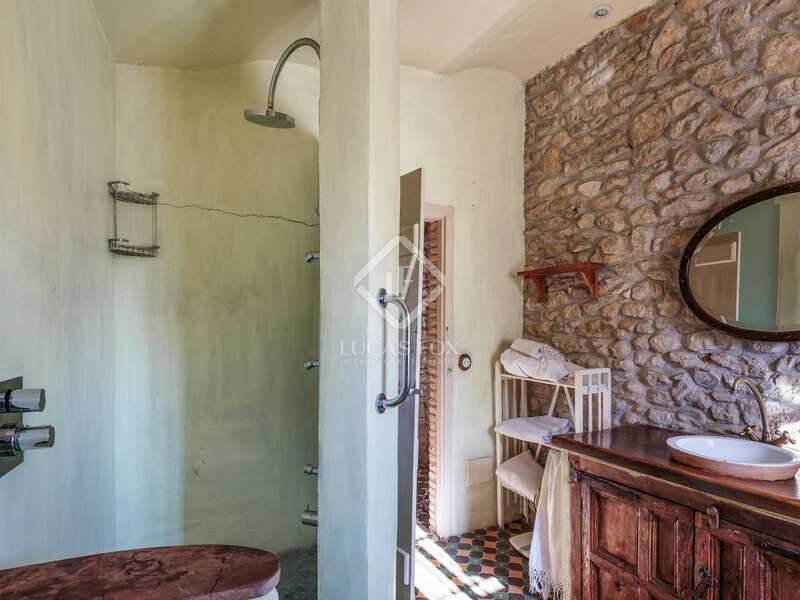 In the barn conversion is the utility room and another bathroom on the ground floor. 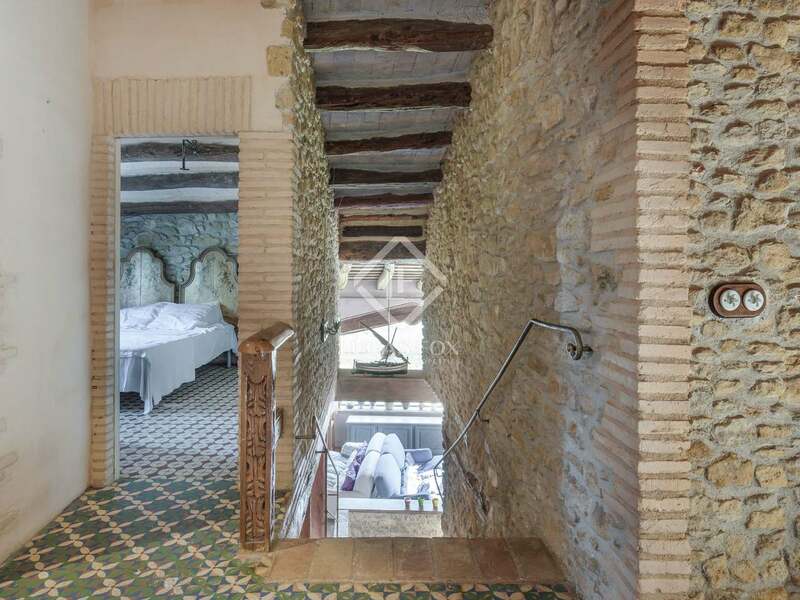 Meanwhile, on the first floor are 2 more bedrooms, with a lovely wooden balcony overlooking the garden. 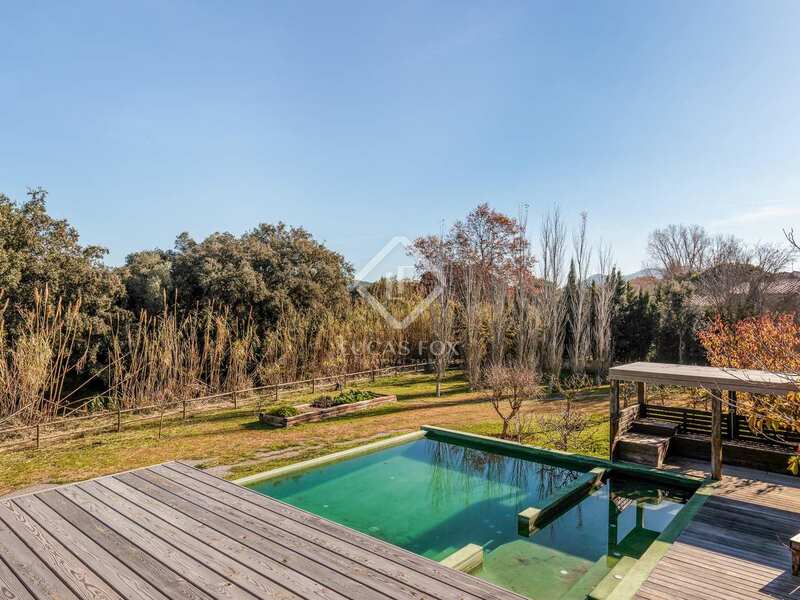 The property comes equipped with central heating and solar panels to help heat the water. 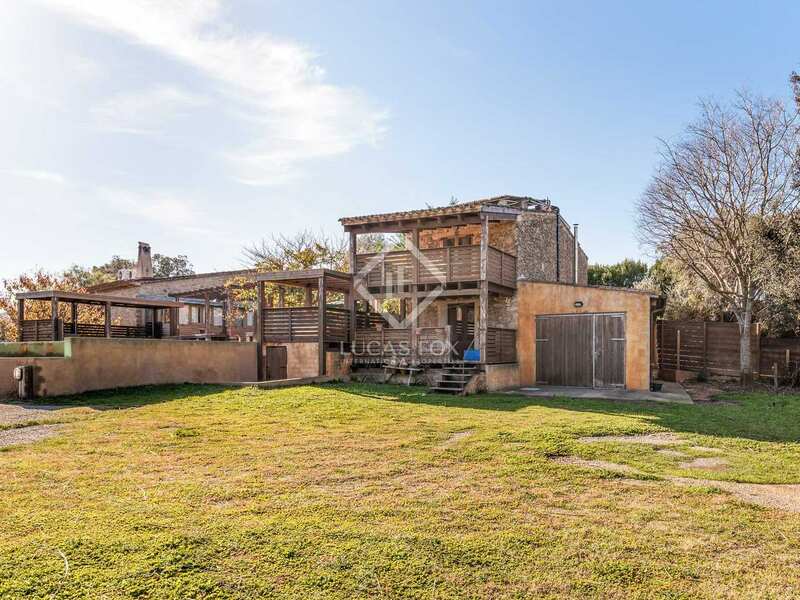 This house would be perfect for families or as a second home due to its lovely rural location whilst being close to the beach and all amenities. 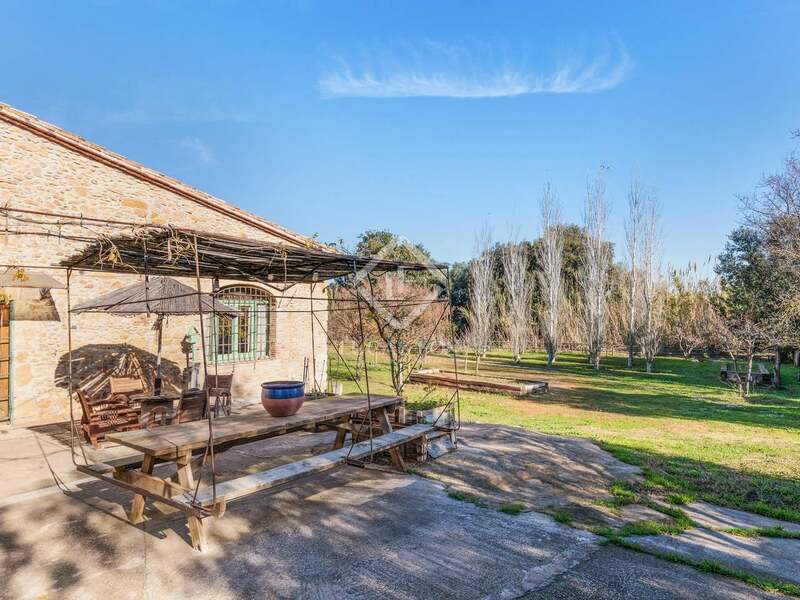 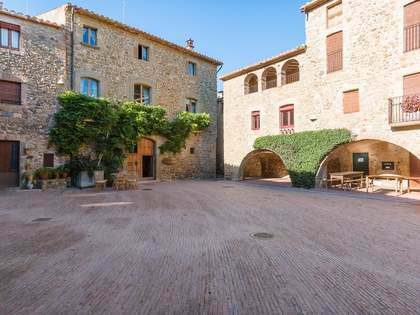 This property can be found in a wonderful rural area 1km outside a beautiful medieval village with various restaurants and all amenities. 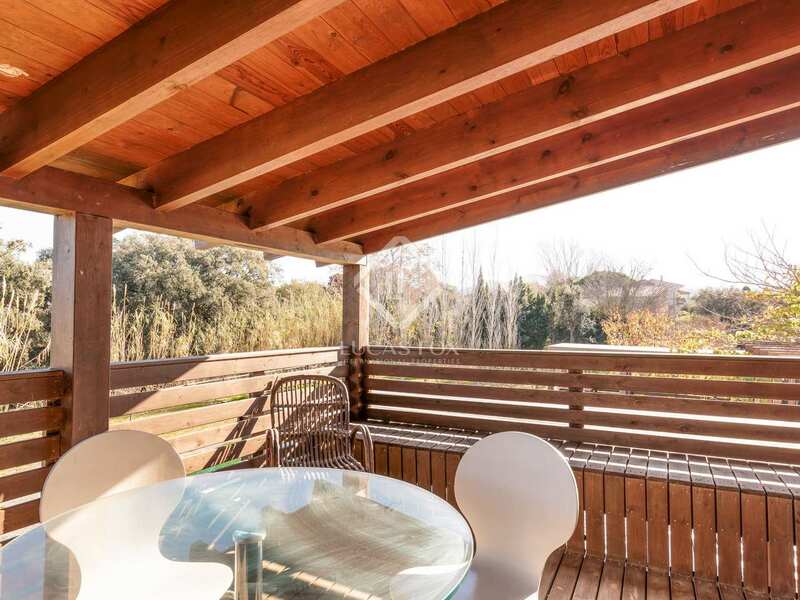 The beach is just 5km away and Girona is an hour's drive.